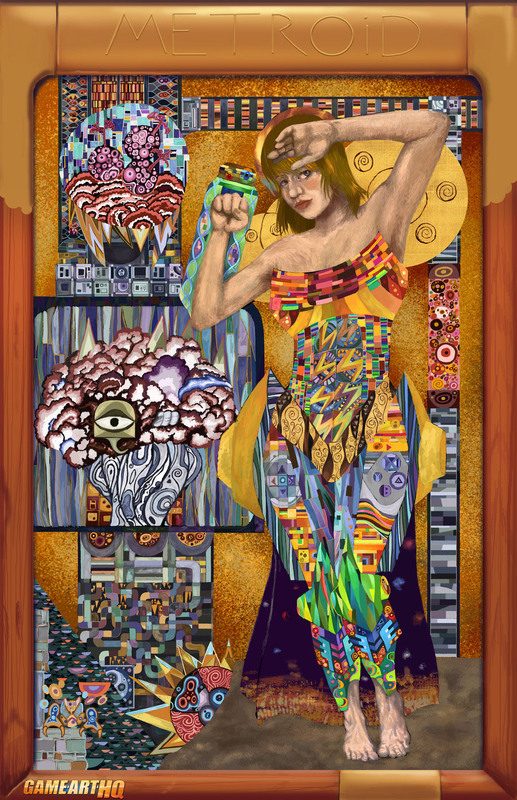 Super Metroid and Samus Aran meet Gustav Klimt and the McGillustrator! This is one of the most unusual fan arts I have seen so far and it was meant to be in our Super Metroid 20th Anniversary Gallery, but I thought it is just not fitting there in the line of Boss Illustrations..this is something very unique here and deserved its own feature! The artist McGillustrator who is behind this started working on it around 2 years ago already, and when we announced the Super Metroid Tribute he started to work on it again to have it finished before the Anniversary. He wrote a detailed description of his artwork on deviantART and since i don’t want to just copy it completely, please take a look at his work there as well and also his gallery! Looking forward to see more art like that and hope to get him on one or another game-art-hq art tributes in the future!